Plantation shutters tend to evoke an image of the American South, a time when plantations represented wealth and power and their owners controlled the political and cultural landscape. 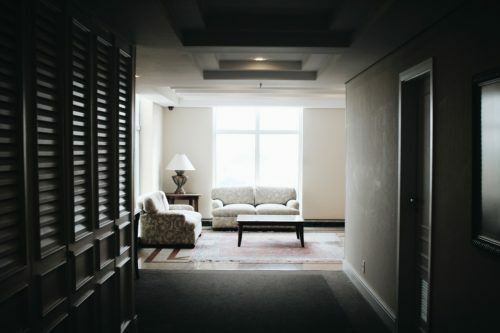 Yet, though these iconic window treatments are named for this controversial institution, their history goes back much further beyond even the founding of the United States. The style of plantation shutters dates back before the use of glass windows. When windows were just an aperture in the wall, it was quite necessary to implement a mechanism with which to modulate the air and light flow, for comfort and for protection. Cloth curtains were available but did not provide the same sturdy protection in inclement weather as wooden or even marble shutters. Eventually, glass was hung in the upper half of a window with just the lower half blocked by a shutter until the 1700s when full glass windows became more readily available. With the thick stone or masonry walls used for centuries, it would have been impractical to open and shut exterior shutters from the inside, so for ages, only interior shutters were utilized or even heard of. In fact, it wasn’t until the 18th century and all the advancements in building technology and civilized lifestyle that it brought that exterior shutters came into common use. The increased of timber in building allowed for thinner walls that made exterior shutters practical. Interior shutters began much cruder than the elegant plantation shutters known today. 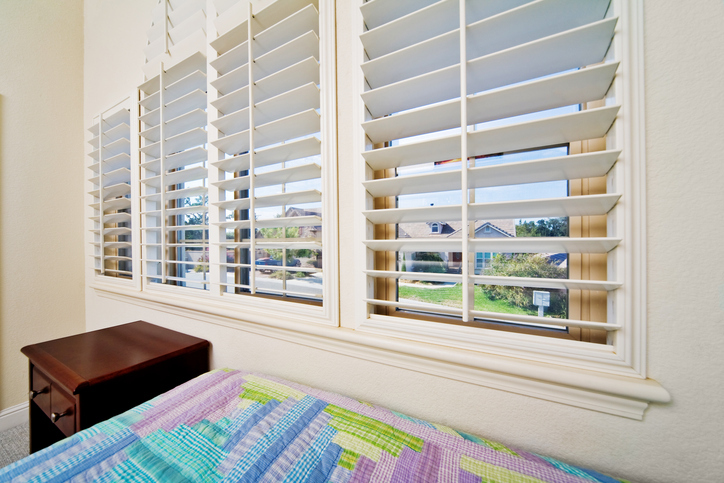 The movable slats are a fairly modern development that made interior shutters even more desirable and fashionable. King Louis XIV elevated the status and style associated with the interior shutters that we would recognize as plantation shutters, and as glass and thinner walls became more common, interior shutters continued as an aesthetic choice more than a mere necessity to protect against nature’s elements. Moveable slats made plantation shutters useful for all types of weather and a wide range of uses, from full darkness to full light and allowing a semblance of privacy and temperature control while letting air pass through if desired. As shutters migrated from their origins into the colonies of the Americas, they became particularly popular in warmer climates where protection from the sun and heat was more crucial. It is perhaps for this reason that plantations became closely associated with what we know as plantation shutters, for their ubiquitousness in the warm southern region for superior light and climate control in a typically warm environment. Today, plantation shutters are increasing once more in popularity due to their superior temperature and light control, elegant appearance, and ease of maintenance. As solid wood or composite construction, they are much more straightforward to clean than many other modern window treatments and last a long time. They aid in reducing the costs of climate control that would otherwise depend on electricity and are becoming quite popular in areas much more expansive than the American southeast. 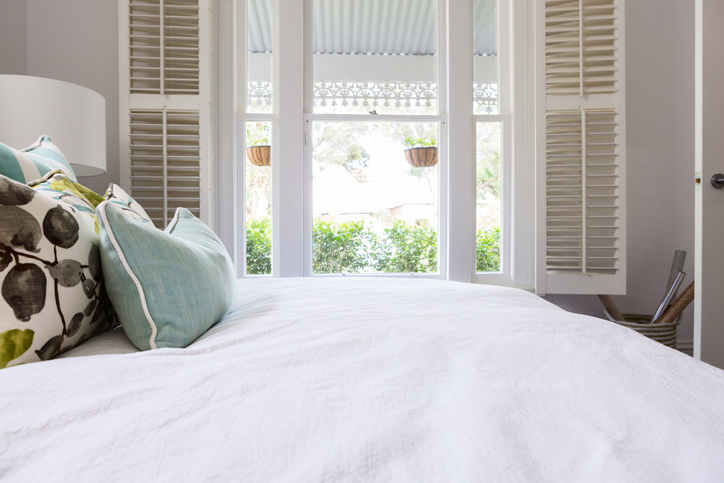 Plantation shutters are far more timeless than plantations themselves, enjoying popular use for many centuries past and likely many centuries to come.